It's time for kickstarter aka crowd-funded games round-up for November 2012. Since Wasteland 2, Project Eternity and Shadowrun Returns seems to have gotten snowball rolling on part of the crowdfunding computer games through the internet, the next months will probably be interesting ones to see several new game developers choosing their path to find their games with either kickstarter.com or indiegogo.com. These will be interesting times for us gamers who have been waiting for computer games that deviate from the masses of big budget games with a publisher company, who often pushes developer companies into making the games for big masses with easy-to-play concepts, and shallow eye-candy looks without much depth in the actual game content. It will be probably until late 2013, when first big crowdfunded games come out such as the "big three" mentioned in the beginning of this post, where direction of the future of the crowdfunded games will be decided.. at least partly. If the "big three" will success in the terms of quality and claim their expectations at least to certain degree, us gamers will be more fond of funding alike projects in future too. But should the first big crowdfunded games come out as a failure, it would be a major dent in trustworthiness and reliability on the part of crowdfunding.. for computer games anyway. Now lets take a quick glance at the new crowdfundable computer game projects at indiegogo.com and kickstarter.com November 2012! There's a several of projects you may pledge for and back them up.. and yeah.. probably a couple of very worthwhile projects too. Follow the link of each game to know more about them. The first things first, so lets start with Grimoire. You may have heard this game mentioned even in late 90's if you're an RPG fanatic. Grim-waah -- sounds familiar? Yes, maybe? How is it possible? You may even recall playing a beta of an rpg game that was called Grimoire. Well it's possible because this game's been in the making for VERY long time - a total of seventeen years - and never fully been finished up.. until finally very soon. It will be released in May 2013. The game has already seen several playable beta versions along the years until today. The game will finally see the light of the day, whether the funding goal will be reached or not, it's coming out. But with funding goal reached it will be more polished, both on graphical and sound department. If I'm correct here development of this game was started in 1996 by one man - Cleve M. Blakemore (aka "Texas Arcane") - a quite controversial person with sharp tongue. Some even say he's a madman (if you're interested more about his mad writings than about his game, go ahead and feel free to Google up). Nevertheless lets focus on the game. Mr. Blakemore had previously worked on several C64 games (claims to be author of 212+ published games), and was senior developer on Sir-Tech's sequel to Wizardry 7, "Stones of Arnhem" that never saw light of the day. Blakemore teamed up with Michael "Shams" Shamgar to create Grimoire bit later. Shamgar is known to be Ceo of Nocturnal Games Australia, creator of "Flowerworks" and "Ultimate Arcade" and was senior systems programmer on never-released "Stones of Arnhem". The game is described as "ultimate classic retro old school fantasy role-playing game" which pays honor to the so called "golden era" or cRPG's such as Wizardy series, Eye Of The Beholder, Dungeon Master, Lands of Lore, Might & Magic, and numerous others. It features classic first person adventuring view, working as classic "3D step engine", with turn-based combat. The full party creation of 8 characters is provided, with numerous classes and skills. 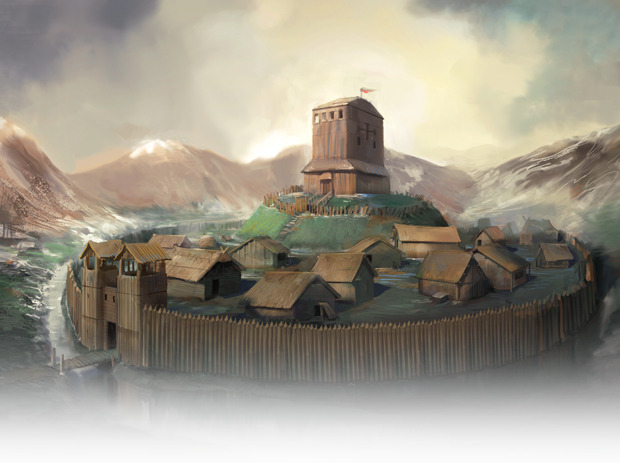 The game's world is comparable to a classic fantasy setting, but with it's own unique lore. And the world is quite vast also. Blakemore promises around 600 hours of gameplay possible, with countless of outdoor maps and dungeon areas (247 combined), character library, 254 monsters, 1000+ items, 144+ magic spells... all this is comparable to any of the largest cRPG's from golden era, and actually Grimoire should be one of the largest few ever. If this wasn't enough, the gameplay will involve also puzzles from easier to challenging. The combat requires tactical planning. And the most important thing of all (alongside the climbing), you can also "ride a turtle" in the game (pretty awesome eh)! Thegamersdungeon.com notes: My definite favorite of the November's crowdfundable games (although few other interesting ones also are included). 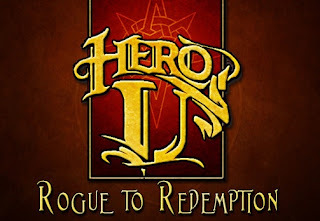 This game is just honest pure classic cRPG with good combat, very large game world to explore, full party creation, and tactical turn-based combat. 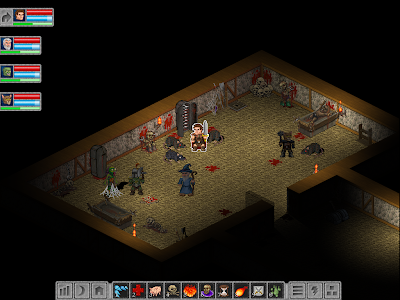 What more would a cRPG fanatic want? Cleve Blakemore -- controversial person or not -- we salute you. This game has yet pledged criminally low amount of it's total score for a fine cRPG being in the making for 17 mad years, so go and pledge to pre-order it! Coming out May 2013. Hero-U aims for moderately high pledging goal. The game's development is led by Corey and Lori Cole known best from Quest For Glory Franchise. It aims to be classic turn-based top-down 2D RPG with fair amount of adventuring, puzzles, and of course stories and rich character relationships included. You will play a single character who has been caught trying to be a thief, and at this point is seeking either redemption as a rogue, or career as a thief in Thieves Guild. This choice will affect the whole gameplay experience. 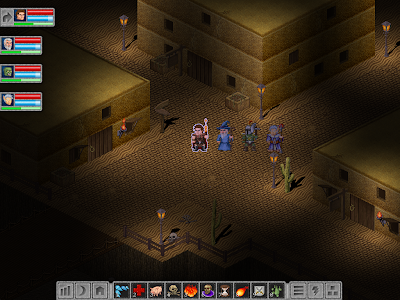 The setting of the game looks somewhat medieval times influenced but with cartoon-like approach. Hero-U, despite it's puzzle and adventure influences, will feature full character skills and dungeon crawling part. This game ain't not going to be hack'n'slash like Diablo though, and more tactical approach on combat part of the game is also promised. Expect interesting adventure/rpg/puzzle combination. Hero-U artistic style is drawing-like and cartoony. While major game is most likely going to be fully top-down 2D, the game has a lot of drawn scenes on it's art gallery, much like paintings and drawings viewed in "first person" (the type that 90's pure adventure and puzzle games used to use), one wonders whether these drawings will be used some way in mixture with top-down view? According to the developers the painted scenes will be used in "key game scenes", whatever that means exactly. The game might interest both adventure and role-playing game fanatics, while trying to bring the best of the both worlds. Developed by Black Chicken Studios under license of Atlas Games, the developer aims to bring Ars Magica role-playing franchise alive for PC. 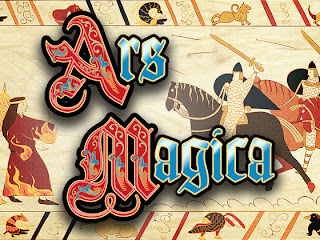 Ars Magica is originally role-playing game played face-to-face live with it's own rulebook, where the group selects storyteller, who leads the game on for adventurers. The original role-playing game's first edition came out in 1987 and is now on it's 5th edition (rel.2004) which the computer game will be based to. The setting of the game mixes medieval setting with classic fantasy including dragons and such mythical creatures, with very huge emphasis on magic and spells. In fact, you're going to play as one of the mages that belong to 13 Houses which form the ancient Order of Hermes, served by knights, warriors, peasants fighting against plagues, beasts and other wizards. 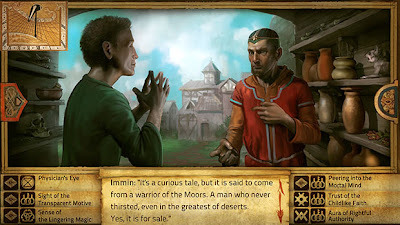 The game should feature one of the most interesting and flexible magic and spellcasting systems in amongst computer role-playing games if they succeed to implement it well to the PC game. The game will be presented in classic 2D and involves many different aspects of gameplay such as overworld-map (turn-based) where you can collect resources, train and research new spells, create magical items, take diplomatic actions and explore. While quest-gameplay will be mostly dialogue based. Combat is turn-based also, and will try to implement the original Ars Magica rules to a video game well as possible. 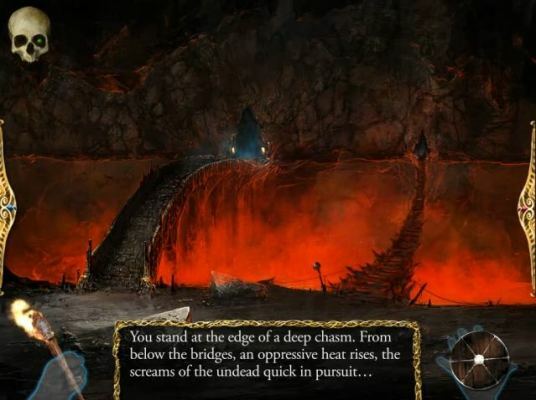 Shadowgate.. ah.. the classic point and click adventure with tons of puzzles, originally developed by ICOM Simulations for Macintosh in 1987 and later on ported for several other gaming systems like Nes. The game with hundreds of ways to die, the one of most unforgiving adventure games ever. 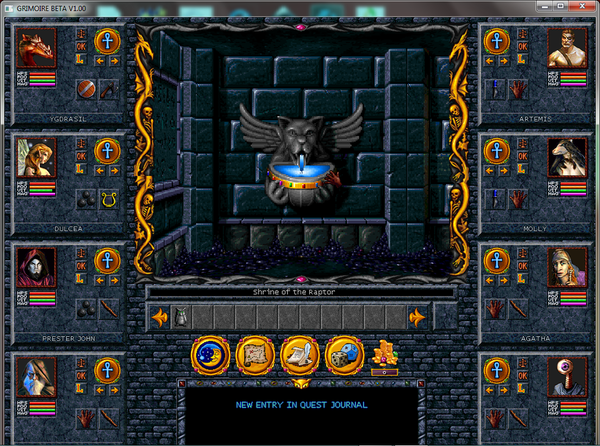 A classic adventure/puzzle-game where you enter a warlocks castle and explore through it with death on your tail. 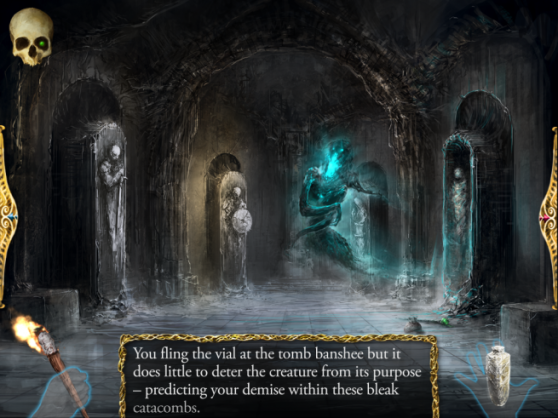 The creators of original Shadowgate are not re-creating the game and asking for your pledge to fund it. "The classic adventure re-imagined" is perhaps not enough to tell whole truth, since the game is not just re-imaging the game with new graphics. Re-made Shadowgate will bring beautiful remade 2D graphics into the game and so far screenshots looks very cool. 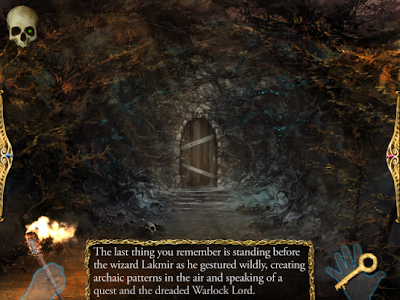 But the developers will also twist some old puzzles into a new form, delete a few old puzzles that did not quite work so well, and add some new content with whole new rooms and all new puzzles making the game bigger and more beautiful than ever before -- yet following the classic concept and staying true to the good old Shadowgate. Thegamersdungeon.com notes: so far after reading the presentation and listening interviews I do not see how this could not work. The new art looks great, and polishing old puzzles while adding some new content (obviously new systems can handle larger game than those of late 80's) should not fail to make the game better than ever. Prepare to enter polished and expanded Castle Shadowgate, and get frustrated of classic (and new) puzzles once again.. Currently five man team (Bare Mettle Entertainment) who seem heavily focused on visual and technical aspect of things aims to make an "ground breaking RPG for the PC that may just change the way you think about games." The project is on very early state generally with having their graphics and physics engine coded by Madoc Evans. 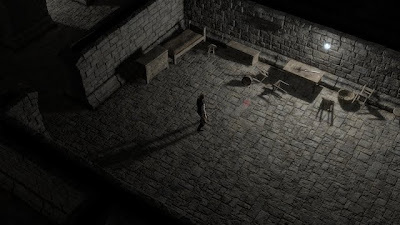 The game fully rotatable 3D engine. The game takes place in dark, hostile medieval world, where is not much foot for a morals, where only the strong survive. The developers say they're putting the emphasize on exploration and participating major events rather than hack'n'slash (which was my first impression and still probably is after seeing kickstarter video). They also state that they're trying to create living and breathing world with life of it's own surrounding the player, with every creature and character having the core AI of their own. There will be no levels or leveling-up in Sui Generis, nor there will be classes. The builds will be fully be based on skills of players selection, and instead of leveling up progression will happen on raising skills up as well as thaumaturgic powers. Thegamersdungeon.com notes: What I would had wished more of this kickstarter presentation was the actual story and game world focus of things. The guys talk about making "ground breaking RPG", but yet their presentation shows mostly game engine physics, graphics engine, cool weather effects, combat physics.. we see a warrior swinging the sword and some medieval themed buildings.. but how about the game world, plot, and the whole "role playing part" of this game? Anharion markets itself as classic old-school turn-based and party-based RPG with huge open-ended fantasy world to explore and experience, asking for humble sum of $15000 to be made. And that pretty much sums the game pretty game judged from it's presentation and early gameplay scenes. The game uses pseudo-isometric view with 2D sprites, and the graphics looks like taken somewhere from 16-bit console era, or mid-90's computer games like Ultima VIII, which is sort of a cool look to it - with slightly updated looks like added dynamic lightning. Antharion is made to be sort of a spiritual successor to games like Baldur's Gate, Ultima, and original Elder Scrolls games according to the kickstarter site, and personally to me it looks mostly mixture of the two first mentioned. Free exploration, several quests, and dungeon crawling for treasures will be big part of the game. What's interesting though is the flowing turn-based party-based combat. The world is based on high-end fantasy setting with lots of magery involved, freedom of exploration, NO LEVEL SCALING, and it contains over 100 dungeons, 20+ cities, and 50+ unique monster types, with tons of npc's to talk to. With some luck the game can still make it to it's funding goal. Helping to fight against decline and popamole! Hurray for incline and people wearing monacles!! !